It is easy…to think of soccer as a game of superstars. They provide the glamour, the genius, the moments of inspiration. They sell the shirts and fill the seats. But they do not decide who wins games and who wins championships. That honour falls to the incompetents at the heart of the defense or the miscommunicating clowns in midfield. Soccer is a weak-link game. This has profound implications for how we see soccer, how clubs should be built and teams constructed, how sides should be run and substitutions made. It changes the very way we think about the game. Did you know that making your worst players perform better gets you more points than getting your best players improve? Did you know that the wage bill of a club is the best indicator for the club’s performance? Did you know that most goals have about four passes before the final shot? The book analyses football statistics to the bone, looking at all factors: goals, finance, training, transfers, etc. While a bit dry for non-mathematical minds, it shows great understanding and research into the details of the sport. Inspired by the famous Moneyball book and movie, based on the real statistician who transformed baseball, this volume does the same to football. It looks at everything related to the game, from before the match, on the pitch, management and finally after the match. Each phase of the game is researched in great statistical detail, showing the analytics that are now norm in the professional game. 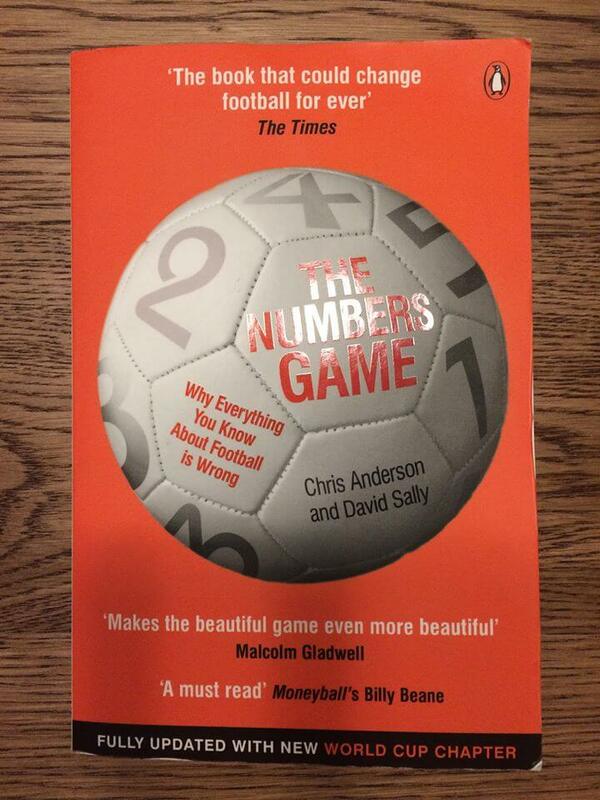 Overall, the volume from Chris Anderson and David Sally is an absolute treasure for football’s cerebral fans. It’s the 31st century and the martial society of humanity, the Imperium of Man, is expanding in the galaxy. The story follows the military feats of the “Luna Wolves” Legion of Space Marines. Their leader is Horus Lupercal, recently appointed Warmaster, general chief of Imperial military forces. Horus is one of the Primarchs, genetically engineered lieutenants of the Emperor. We find about his actions through the eyes of Captain Garviel Loken, leader of the Luna Wolves’ 10th Company. The book sets the stage for the Chaos’ plot to destroy the mysterious founder and leader of the Imperium, the Emperor of Man. This story is followed in the next 49 books of the famous series. This is the beginning of the famous Warhammer 40,000 military scifi, a dystopian future galaxy-spanning war. Books, board games, figurines, video games, comics were all developed in this fascinating environment. The plot itself is absolutely fantastic, building the base for a great military saga. There are obvious inspirations from Starship Troopers of Robert A. Heinlein. The recent Red Rising saga seems to take some inspiration from the Warhammer universe as well. However, the military heavy element of the book might be hard to digest for many. The book has many plot strands, characters, sub-plots. However, the writing is fluid, the universe makes sense in itself, and the moral and ethical questions that are asked are mind blowing. Overall, a great book for the fans of the military scifi and a must read for all passionate about the Warhammer universe . The book is a dystopian thriller starting from a cyber attack on the EU electricity grid. The protagonist, an Italian IT specialist, tries to solve the crisis by finding how the system was affected and going to authorities. The pace of the book is fast, by quickly changing the locations. The premise of the book is jaw-dropping: a EU-wide electricity blackout. The Austrian author carefully researched the subject and the potential outcomes of such a crisis. The book is full of excellent logical consequences of such an event. What if the electricity grid collapses? However, the quality of the writing itself is not great. The translation from German is not perfect and there is too much said and too little shown. There are also some plot holes, the solution focusing too much on individual characters, while in reality there is more of a team work. I really enjoyed the book, despite its drawbacks. A great analysis showing the vulnerabilities of a vital system, our electricity. Only shock prevented the tears from streaming down my face. My cells were dead. After being accepted into the competitive Stanford Institutes of Medicine Summer research Program (SIMR), and spending approximately 170 hours of the past month manipulating human embryonic stem cells (hESCs), I was back to square one—with only one month of my internship remaining. How in the world was I going to make up for lost time? This is a book presenting, as the title says, 50 essays that made the applicant being accepted at some of the top universities in the world, with fierce competition. After each essay, the evaluators’ comments are included. The essays were absolutely fabulous. It was a pleasure to read life stories and motivations condensed in only 1 page. While still young and lacking a certain complexity of vocabulary (we are talking about 18-year olds! ), the perfect organisation of information, of the message, of presenting someone in the best light, was amazing. I was particularly impressed by the title of some stories, such as Puzzle and Science Sparks, which made the reader interested and wanting to explore the text. There are so many beautiful turn of phrases, motivations and development stories that it is simply inspirational to discover them. The book has also 26 solid advices on writing, which can apply to everyone holding a pen or using a keyboard. Overall, a beautiful and inspirational read. I thought back on my running career at Oregon. I’d competed with, and against, men far better, faster, more physically gifted. Many were future Olympians. And yet I’d trained myself to forget this unhappy fact. People reflexively assume that competition is always a good thing, that it always brings out the best in people, but that’s only true of people who can forget the competition. The art of competing, I’d learned from track, was the art of forgetting, and I now reminded myself of that fact. You must forget your limits. You must forget your doubts, your pain, your past. The book is a candid memoir by the founder of Nike, the sports shoes and apparel company. It starts with his travel around the world as a young graduate and concludes when the company was made public in the 1980s. The book presents in great detail the beginnings of now the largest sports company in the world. This is indeed a great memoir, well-written, full of details and easy to follow. Apparently, JR Moehringer helped as ghostwriter. No wonder it was a best-seller, particularly because the owner of Nike never liked being in the spotlight. 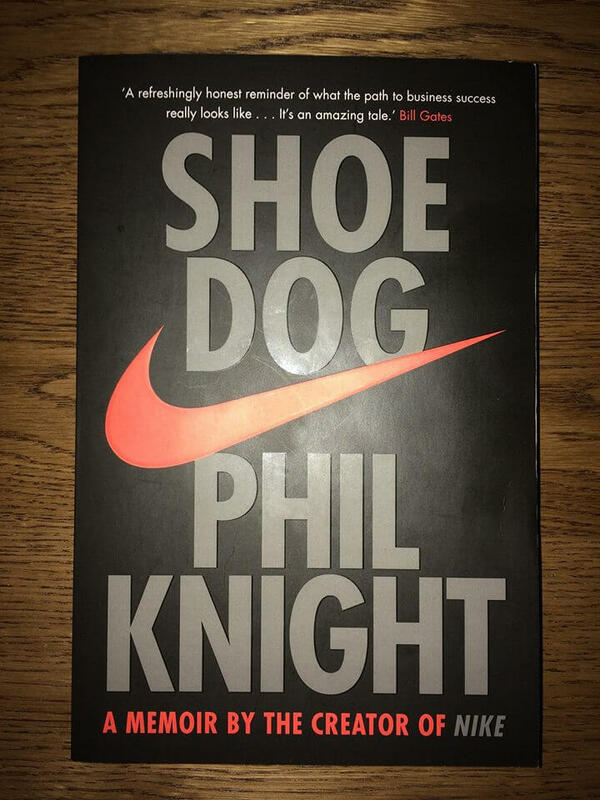 Phil Knight starts his story when, as a young graduate of Stanford Business School, prepares to leave for a world voyage. The trip is hiding a business purpose as well, as he intends pass through Japan and propose selling rights in US from a Japanese manufacturer of sports shoes. This idea came from a university seminar. His proposal succeeds and Knight gradually increases sales, while working as professor and later accountant. Being ditched by the Japanese manufacturer he is forced to produce his own shoes. And this is how Nike was created. The company always had financial problems, banks abandon him twice, legal challenges almost topple the company, he fights with US customs, but through sheer passion for the product and loyalty of men and women around him, the company succeeds. It was amazing to see how much of a team work it was. The founder did not create the shoes, the clothes, the design, not even the name. All he did do very well was putting the right people in the right jobs and ensure loyalty of his employees. As he often quotes in the book: “Don’t tell people how to do things, tell them what to do and let them surprise you with their results.” A shy person, he prefers to be a strategist than a general, although his idol is American General Douglas MacArthur. Phil Knight talks about his family as well, his wife and sons, his parents and sisters. He talks fondly about his wife and her sacrifice to let him work long hours. He regrets not staying longer with his sons. He recalls his daily evening calls with his father, talking business and how to fight the legal challenges. Overall, a great book from a shy man who built a sports empire and made the world a little better. Don’t think I ever spent a minute of any day wondering why I did this work, or whether it was worth it. The call to protect life—and not merely life but another’s identity; it is perhaps not too much to say another’s soul—was obvious in its sacredness. Before operating on a patient’s brain, I realized, I must first understand his mind: his identity, his values, what makes his life worth living, and what devastation makes it reasonable to let that life end. The cost of my dedication to succeed was high, and the ineluctable failures brought me nearly unbearable guilt. Those burdens are what make medicine holy and wholly impossible: in taking up another’s cross, one must sometimes get crushed by the weight. This is the autobiographical story of an incredibly gifted person, Paul Kalanithi, written while he was dying of cancer, only in his thirties. The author describes his life and morals, from childhood, to medical school, to his English degree at Cambridge, to operations as neurosurgeon and, finally, fighting cancer in his last weeks. Paul Kalanithi was a truly extraordinary human being, valedictorian in high school, then Standford, Cambridge and the Yale School of Medicine. A neurosurgeon with great writing skills, dedicated to a have meaningful life. Paul finds out he has cancer and despite some minor improvements, he succumbs to the illness. Cancer took him in less than two years. 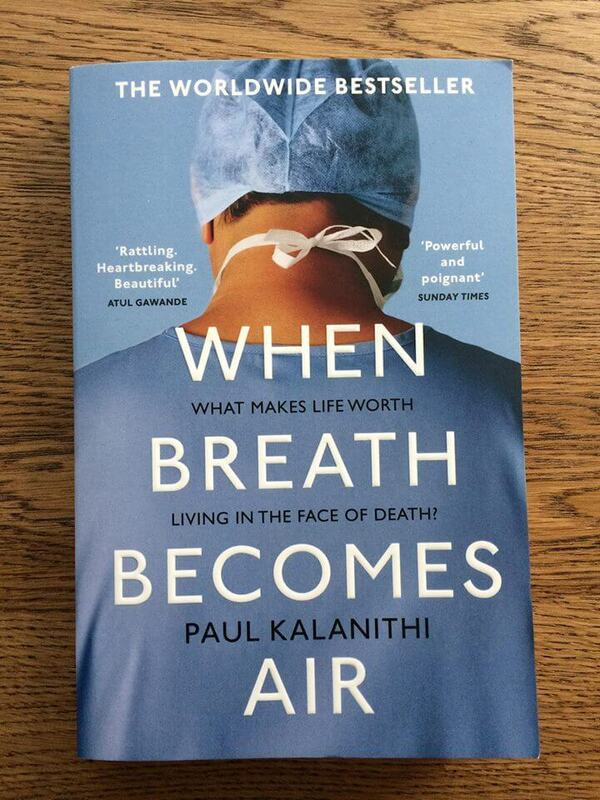 However, before he died, he wrote this extraordinary book, talking about his life and eventual death, about time and meaningful things, about his patients and his family. His writing is so fluid, words are well chosen, vocabulary is vast and he grasps such a deep understanding of things. The readers finds himself moved with emotion at every page. It is an honour, a source of inspiration and a pleasure to read about humans pushing the boundaries of what can be done, to show true skillfulness and quality, and, above all, great strength of character and bravery. The book is the Goodreads choice winner of 2016. I could not recommend it enough.